A grand that offers a wealth of possibilities to professional pianists. The W.Hoffmann 188 Professional grand piano recalls the great C. Bechstein tradition. 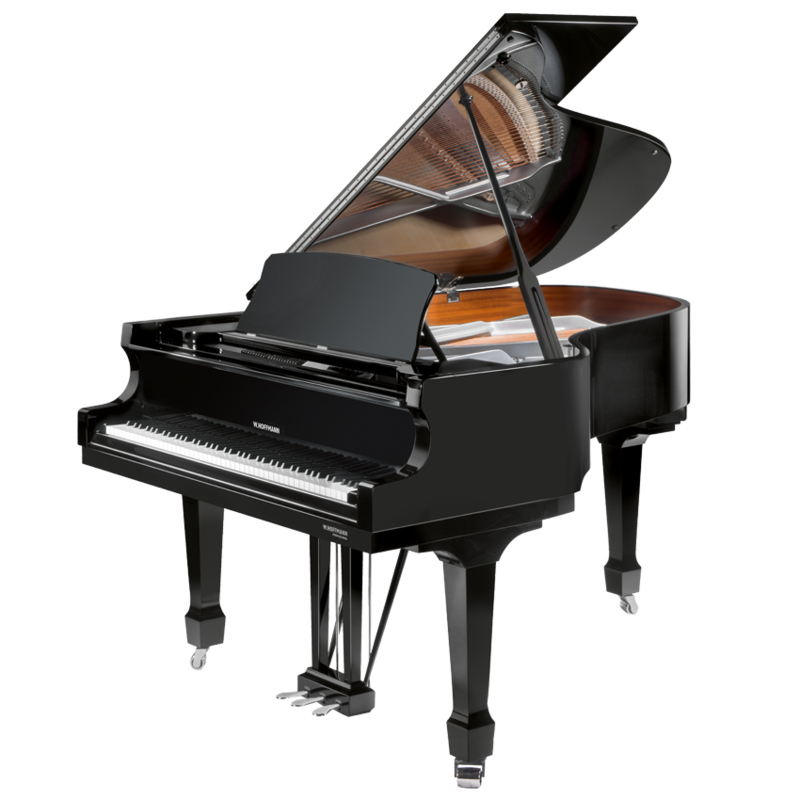 This powerful instrument enables advanced players and professional pianists to realize their full artistic potential. The soundboard of the W.Hoffmann 188 Professional grand meets the high expectations of demanding pianists. The special design of the hammerheads generates a sustainable sound. The damper mechanism, made of wood and without spoons, enhances the precision of the touch. Moreover, a noble case in black lacquer with chrome fittings makes the W.Hoffmann 188 Professional absolutely irresistible. If you want the freedom to play at any time without disturbing anyone, you can have your W.Hoffmann 188 Professional grand piano equipped with the optional Bechstein Vario mute. Compatible with tablets and notebooks, this digital device contributes to expand your musical horizons by allowing you to record yourself, or to accompany existing recordings.